It's an offence to ride a bicycle on a public road without two efficient braking systems, operating independently on the front and rear wheel. It is clear that a fixed wheel counts as a braking system operating on that wheel, so a fixed wheel bike with a front brake is legal (assuming both brakes are efficient! 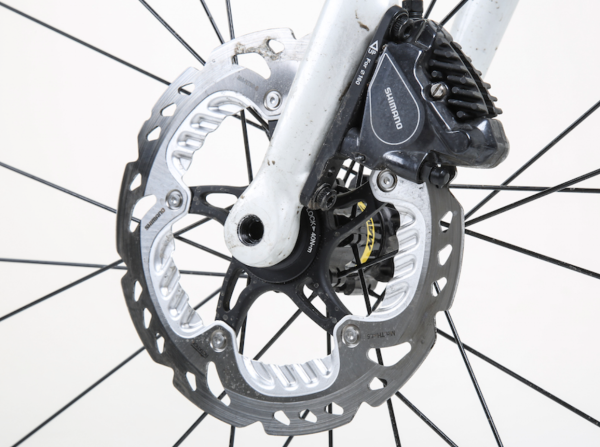 ), but a fixed wheel bike with merely a rear brake isn't, as there's no independent front wheel brake. There are various exceptions for tricycles, quadricycles, non-standard bikes and electric assist pedal cycles.